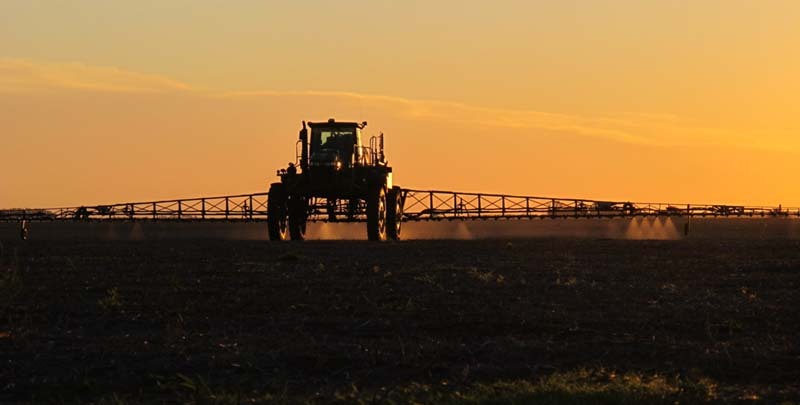 At Vantage NSW, we offer more than just precision agriculture products; we provide farmers, agronomists, retailers and local OEM equipment dealers with precision agriculture expertise for the entire farm. Our brand-agnostic solutions focus on optimising the efficiency of your farm equipment, seed or chemical use, and support a hassle-free experience for farmers and their service providers implanting advanced technology solutions. 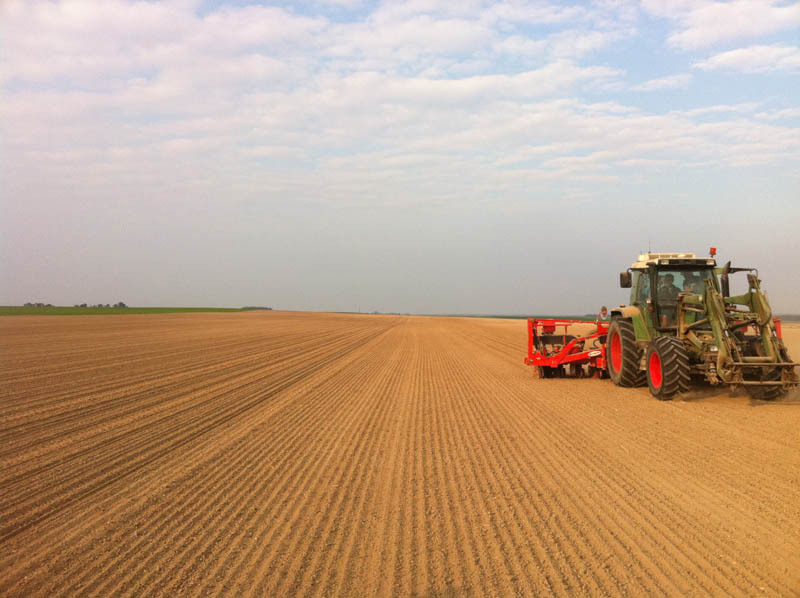 Save on input costs by monitoring and simultaneously varying up to 6 different materials to precisely plant seeds, apply chemicals, and broadcast fertilisers. Maintain even material application when spraying, minimise environmental impact, and reduce operator fatigue. 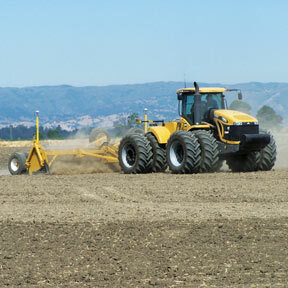 Trimble correction services lead the industry in accuracy and reliability while they maximise every pass and increase your efficiency. Our CenterPoint® RTX™ correction service enables precise 1.5″ (3.8 cm) pass-to-pass and repeatable accuracy, while our RangePoint™ RTX correction service provides 6″ (15 cm) pass-to-pass accuracy and 20″ (50 cm) repeatable accuracy. Our xFill™ service also allows RTK users to continue receiving precision location data in the event of temporary radio or Internet outages. 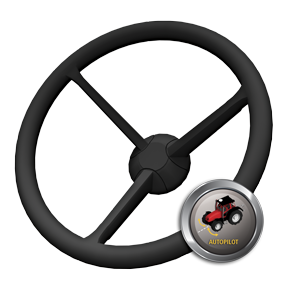 Autopilot uses T3™ sensors to calculate the actual position of the vehicle to help minimise skips and overlaps in areas with rolling terrain, slopes, and rough ground. 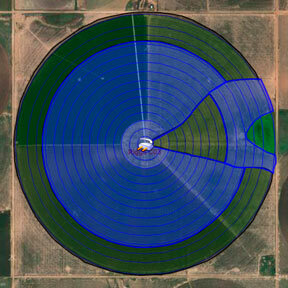 Farms nowadays generate massive amounts of data and it can be difficult to keep track of it all. Our data management solution allows all of your farm’s data to be securely stored and accessed from any Internet enabled device at all times. 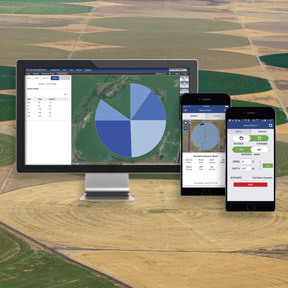 You can even share your data with trusted crop consultants, contractors or advisers without having to travel and visit them. 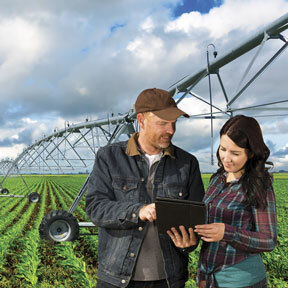 One Simple Solution: Desktop, online and mobile farm software that will transform the way farmers, advisers, ag retailers and food processors work. 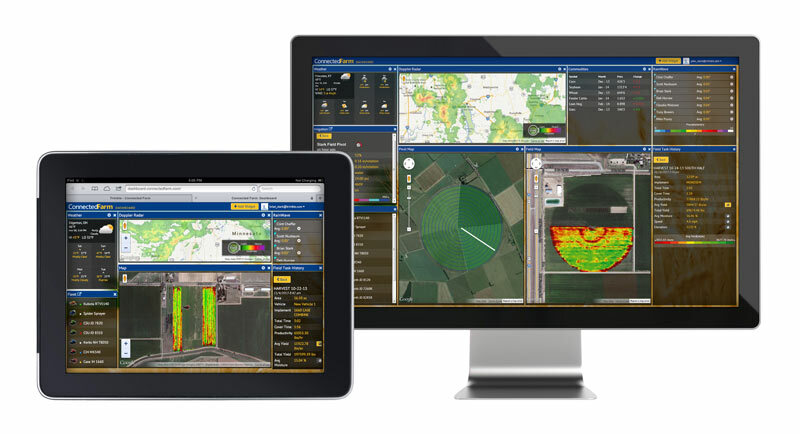 Trimble Ag Software streamlines grower management with mobile tools that provide real-time information. With enhanced functionality for trace-ability, compliance reporting and quality control, your customers can rest assured that their food was grown safely and sustain-ably. 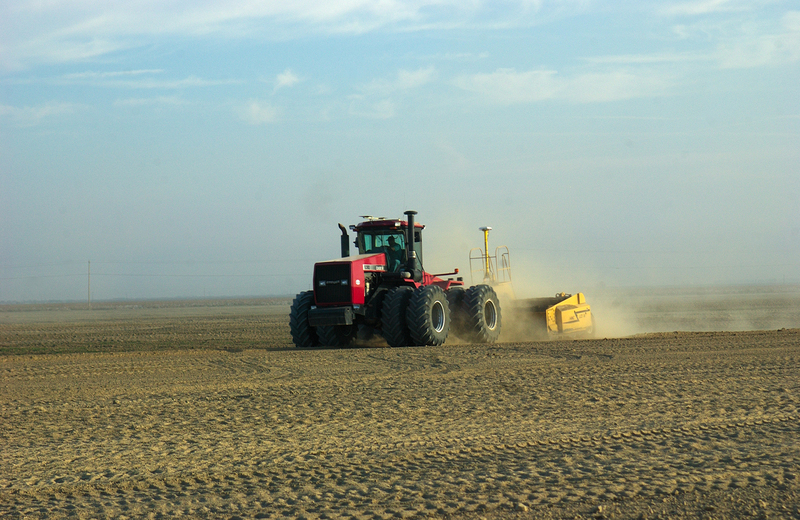 A system that streamlines the surveying, designing, and levelling steps required for land levelling projects. 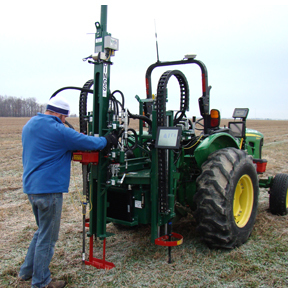 Surface models created from the collected topographic data can be used to install drain pipes with the WM-Drain™ farm drainage solution or to create a levelling design for use with the FieldLevel II™ system. Whether you’re spraying chemicals or spreading fertiliser, the goal is to disperse the optimal amount in the right places. Our spreading and spraying solution allows you to generate prescription maps in the office and then precisely deliver them out in the field. Variable rate spraying and spreading optimises inputs resulting in a greater return on investment and sustainability your land will appreciate. 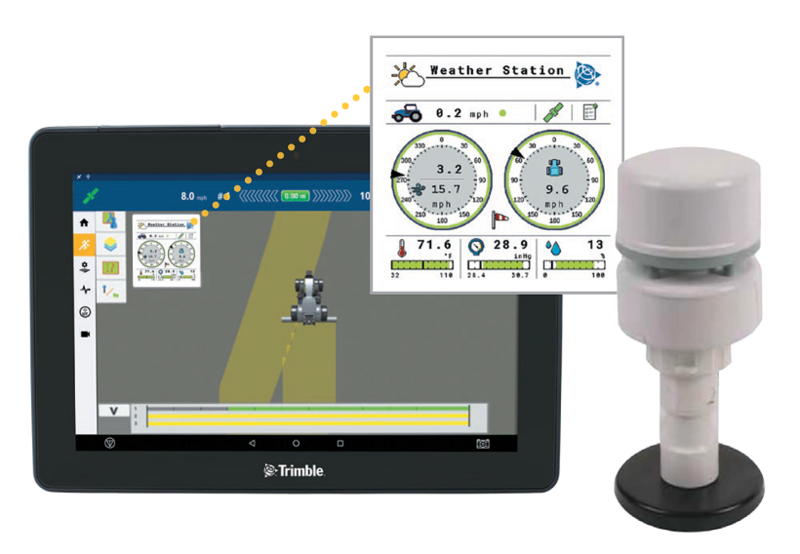 The Trimble ISOBUS Weather Station informs you of instantaneous changes in the weather and is available via the easy-to-use ISO Universal Terminal (UT) interface. 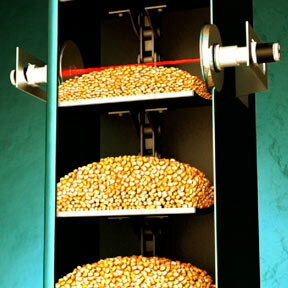 Wind speed and direction are measured using four ultrasonic transducers. No moving parts translates to better durability and reliability. 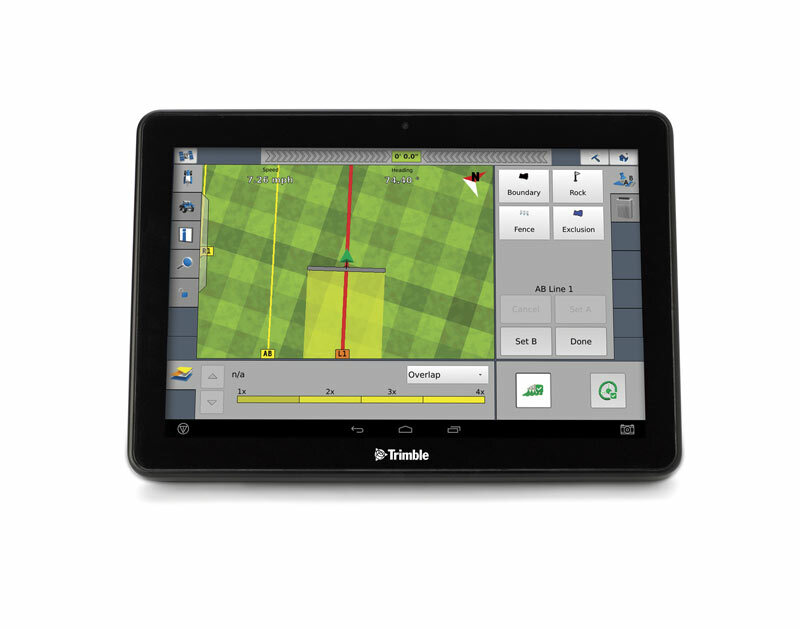 The Trimble® Field-IQ™ ISOBUS Liquid control system is an ISO-compatible application control system that can be used with the most common control components for applying liquid. 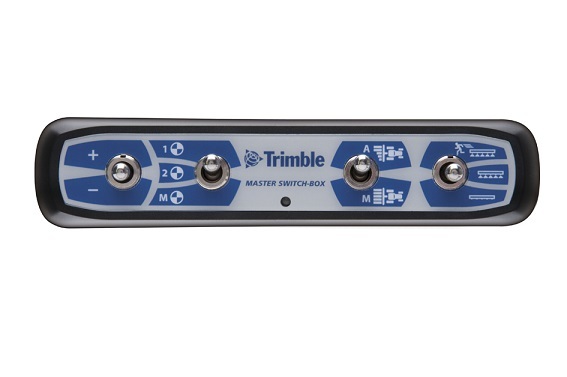 Combining the modular Field-IQ architecture with the new Trimble Liquid Control ECU, rate and section control solutions are available for sprayers, anhydrous toolbars, and liquid toolbars. The intuitive configuration and run screens make it easy to set up and operate. 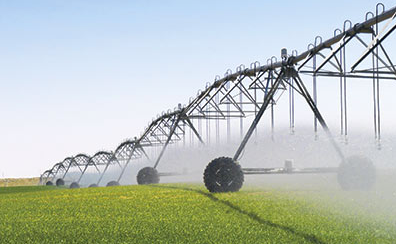 Get up and running in the field sooner with the Field-IQ ISOBUS Liquid control system. All implement configurations stay with the implement. 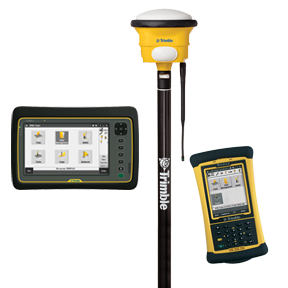 Save more than time by using existing Trimble Field-IQ application control install kits. 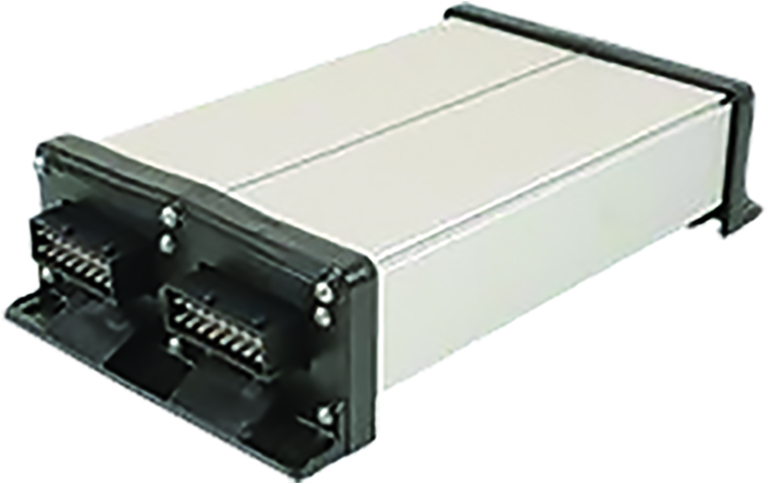 The ISOBUS ECU can leverage existing cables already used on your implement. 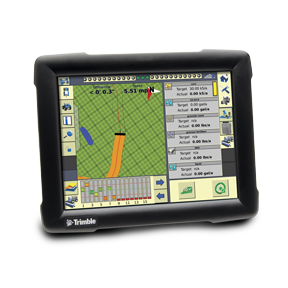 The Trimble Field-IQ ISOBUS Liquid control system runs on the TMX-2050™ and GFX-750™ display systems. These displays both run the Precision-IQ™ field application software in combination with Universal Terminal, allow you to easily set up the implement and begin field operations quickly. 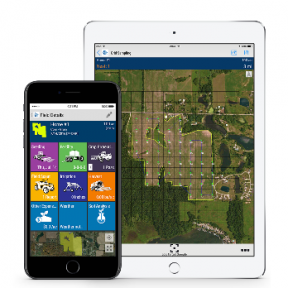 Take advantage of all application control system features including rate and section control, prescriptions and as-applied mapping. 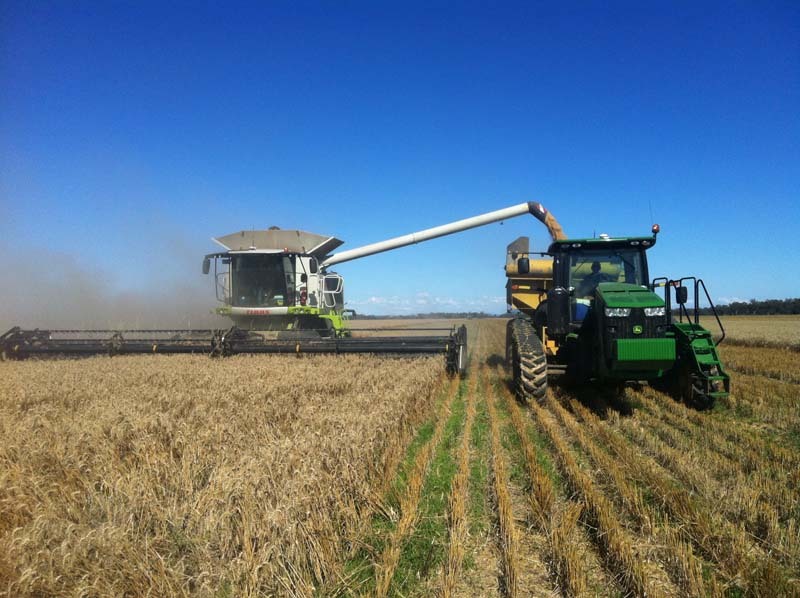 Adjust the cut width automatically when travelling over odd-shaped fields, point rows, or other previously harvested areas to improve the accuracy of yield calculations. 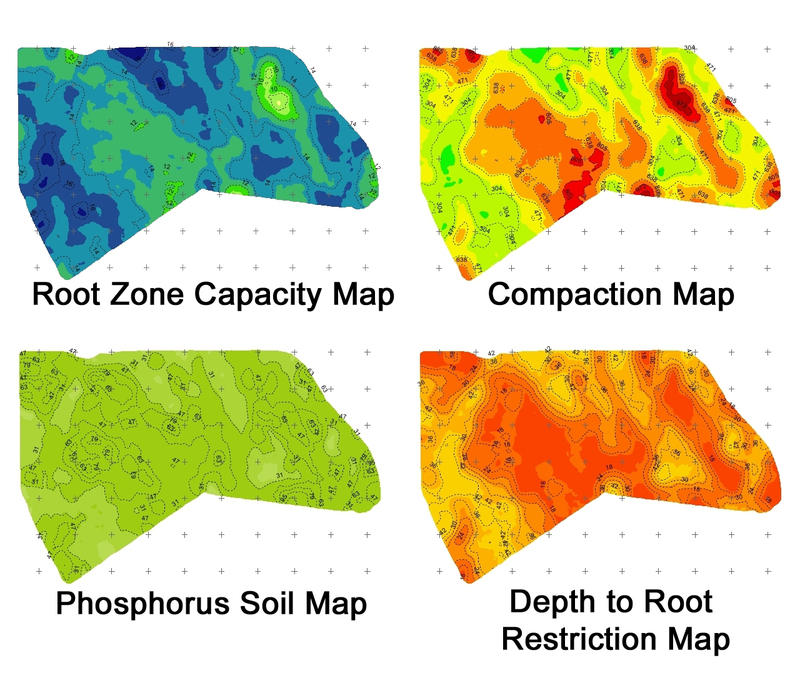 Create prescription maps for variable rate application, budget your seed, chemical, and/or fertiliser costs, and create a plan for optimal water management.